Exide Technologies is a prominent producer, distributor and recycler of lead-acid batteries. Their plant in Frisco, Texas has been in commission since 1965. This facility has been under scrutiny for continually producing and disseminating into surrounding areas lead emissions well over the legal limit (the limit for lead emission is .15 micrograms monthly). Regardless of the legality of lead emissions, there has been no affirmed threshold for lead exposure safety, and even very low levels can be especially dangerous for children. This is highly problematic given that homes, apartments, and even Frisco High School are located near the Exide plant. 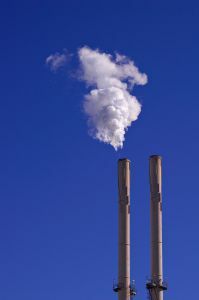 Proposals were drafted in 2011 for review by the Texas Commission on Environmental Quality (TCEQ) that outline a plan of implementation geared toward decreasing Exide’s lead emission levels. This agreement would support an intensification of regulation efforts; Exide has promised to “…spend up to $20 million and would reduce lead emissions by 90 percent by November 2012”, according to CBS DFW. Despite last year’s promising rhetoric, citizens were already disgruntled, claiming the proposal is not enough to rectify the lead emission problem in Frisco. A group of active and concerned citizens formed a coalition called Get the Lead Out of Frisco aimed at fighting Exide’s polluting practices, government inactivity, and public education on the matter. In more recent news, The Dallas Morning News has updated this information, reporting that the proposals have been pulled from TCEQ’s agenda for next week’s vote. Little explanation was given for the delay, other than that they require further review. The proposals were originally set to be considered in December of 2011 and were delayed until this spring. Now consideration is once again delayed until June of 2012. Additionally, although Exide claims it has been following the proposal’s regulations without official direction since 2011, it has been reported that Exide has once again exceeded legal limits for lead emissions the last two months in a row. Frisco citizens remain skeptical of an eventual proposal’s passage and of said proposal’s actual effectiveness once approved. Lead emissions can be a serious health hazard to communities. Studies have shown that lead exposure in children can cause intellectual impairments even when present at very low levels. In adults, an increase in blood-lead levels can lead to cardiovascular issues and even fatality. The journal Clinical Biochemist Reviews asserts that, “…low level environmental lead exposure remains a significant public health concern.” Because lead is a proven toxic chemical and its disastrous effects have occurred even when trace amounts are present, massive emission of lead by a major corporation should not be tolerated. Businesses and the government must take greater steps to protect citizens from the systematic poisoning of their air, soil, and water.